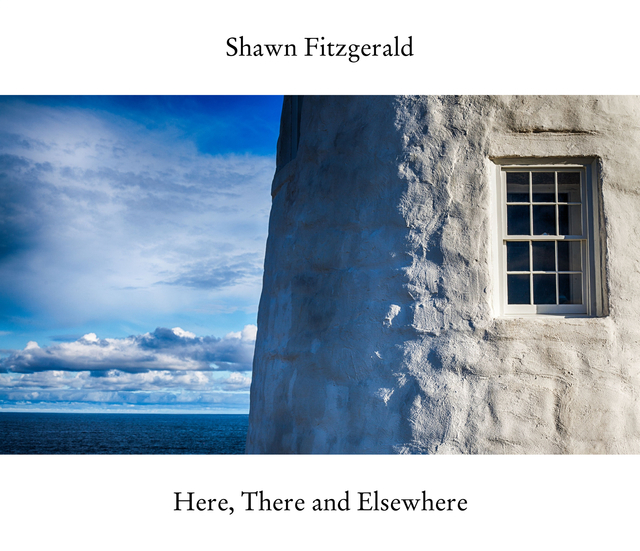 Here, There and Elsewhere is the latest New England photography collection from Shawn Fitzgerald. From the coastal areas of Northern Massachusetts to Maine and places in-between, Here, There and Elsewhere is a unique combination of travels and tales. From the Foreword: This summer -in the midst of trying to come up with a permanent title for this book-, a friend of mine shared a Gaelic saying with me: "An té a bhíonn siúlach bíonn sé scéalach." Translated, it means "Travelers have tales to tell." I liked that saying quite a bit, and it stuck with me. However, I wasn't sure it would work as a book title. While it didn't make the cut, it inspired me to do something I haven't done in my previous books: open up a bit and share more with the reader other than just photos. While you won't find deep tales of photographer soul-searching and adventure over the course of the next 100 or so pages, you will find a mix of anecdotes, historical information on the locations and the occasional attempt at humor (underline 'attempt'). This is a book divided into three parts. "Here" travels in and around the Massachusetts North Shore, a region previously covered in my first book North Of Boston. "There" takes us north to the great state of Maine, while "Elsewhere" acts as the book's "Miscellaneous," a collection of images I loved that I didn't want to discard but could fit into the other two sections. I am a photographer based in the Boston area and a graduate of Boston University's College of Communication in Waltham, MA. My work has been highlighted on the former North Shore Art Throb website and my services have also been employed by WGBH Television, The Peabody Essex Museum and Christianity Today magazine.